Jonathan Haslam was formerly Chief Communications Secretary to then Prime Minister John Major and worked in No 10 for over six years. 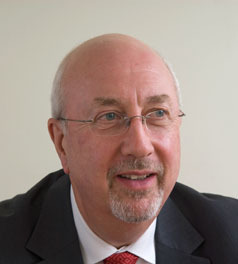 His twenty year Government career included the Department of Trade and Industry, Home Office, and the Department of Education and Employment, where he was David Blunkett’s first Director of Communications. He was a member of the Scott Inquiry Unit at the Cabinet Office and was responsible for designing the Government’s communications response to the Arms to Iraq inquiry. In the private sector he took the lead role in rebuilding the reputation of the London Metal Exchange following the Hamanaka copper fraud. He led the mission to explain the Jarvis plc turnaround story from near bankruptcy to the debt for equity exchange of 2005. In both companies he was a member of the senior executive leadership team and also attended board meetings. Jonathan and Haslamedia associates Sheree Dodd and Peter Hill have just completed the Aviva reattribution project on behalf of the Office of the Policyholder Advocate. Jonathan also undertook, with Sheree Dodd and Paul Atkinson, reconstruction work in the communications section of the Association of Train Operating Companies. He has wide experience of the private equity/venture capital sector. He is joint managing director of Pitch-Perfect, a presentation and media training business (www.pitch-perfect.com). Jonathan is also a Senior Adviser to Smith Square Partners LLP, the corporate financial advice company (www.smithsquarepartners.com). And a few other things - I am a Fellow of the Royal Geographic Society, a member of the Chartered Institute of Public Relations, was involved in rescuing the money zone at the Millennium Dome with Peter Kellner, Lord McNally and David Pocknall, set up and directed the first educational seminars held by a Western futures exchange in Beijing and Shanghai, was responsible with Trevor Kavanagh, The Sun's renowned columnist, for inaugurating the Westminster vs Lobby annual golf tournament, have written for national newspapers and regularly appear on TV and radio. I am proud to have been appointed Commander of the British Empire in John Major’s resignation honours list in 1997.